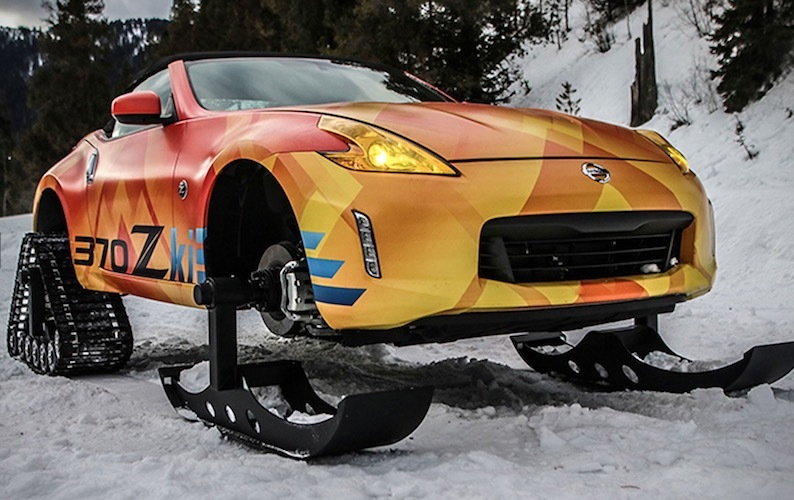 Behold: the Nissan 370Zki (ski what they did there?) 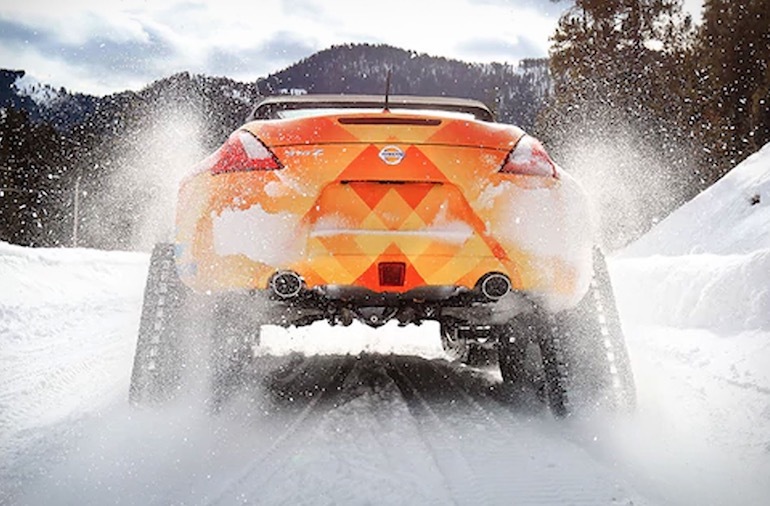 – a 370Z Roadster lifted and adapted into a one-off, rear-track-drive snowdster by American Track Truck. 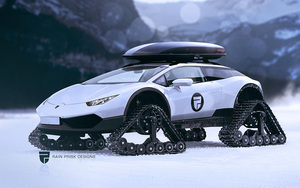 There are no production plans yet but just look at it go. 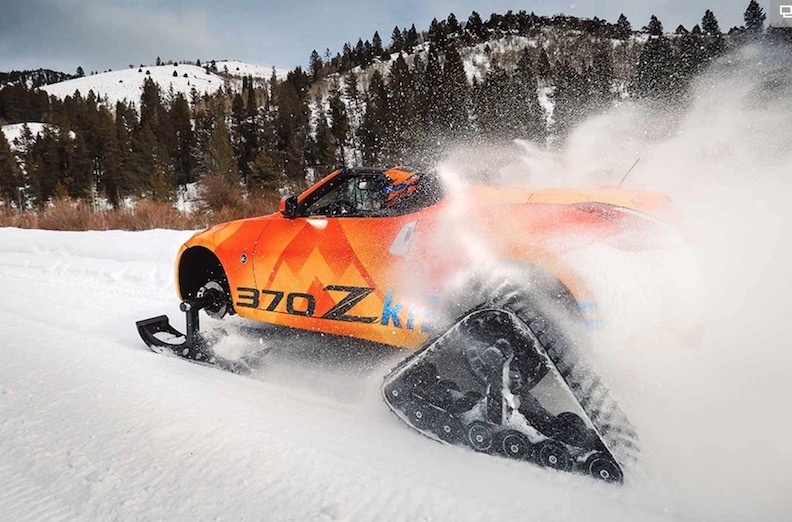 Posted in Design and tagged MOD, snowmobile at 12:49 pm on February 6, 2018 by Chompsky. 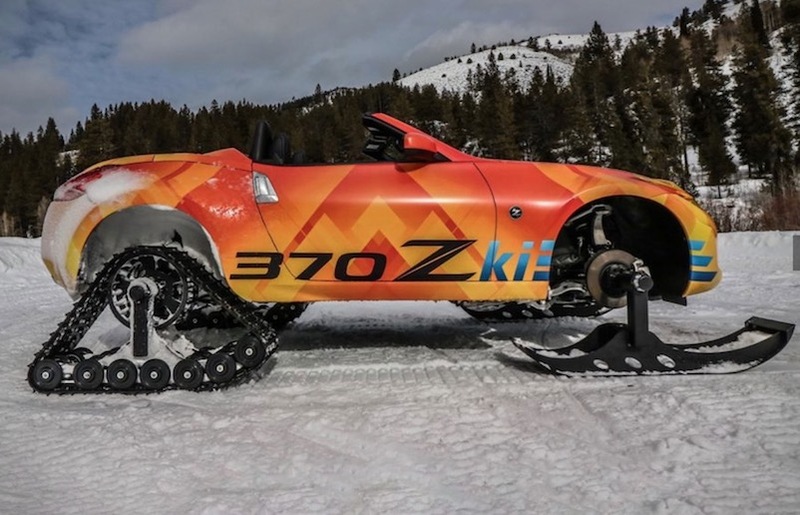 And convertible to boot? Take that, sense, you fool!